This past week I spent a few hours wrapping Christmas presents and getting them ready to hit the post office. Along the way, I snapped a few pictures for the purpose of sharing them with you...I hope something you see here sparks an idea or two on your end. Since the goal was to keep things simple, I only used what I had on hand. It was a lot of fun to rediscover a few craft supplies I'd completely forgotten about. Love it when that happens! 1. Yuzen Cherry Blossom paper from Paper Source - it's on the pricey end of wrapping paper so using it on tiny jewelry boxes and the like will give you the most bang for your buck. 2. Vintage coasters turned gift toppers - adds vibrant color, texture and is perfect on a gift that needs to slip into the mail easily. 3. Lace Tape - this was such a fun supply to work with. It's so unexpected and makes quite the statement. 4. Mittens - Using a punch I've had for years, I created a few sets of mittens to string along the top of my sister's gift. 6. 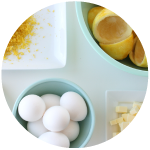 Tiny angel cut-outs - add a little twine, some paper to serve as a backdrop and that little angel will be fit to be tied. 7. 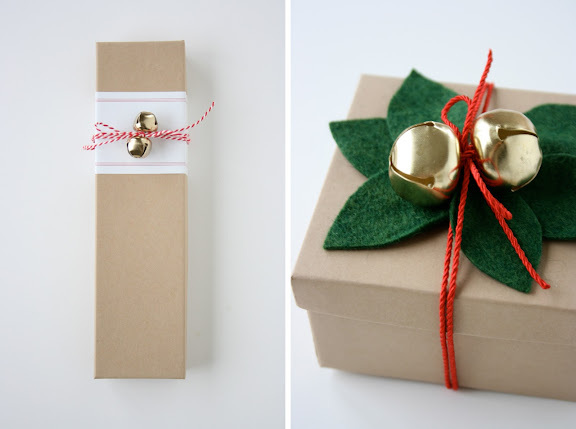 Jingle Bell Jewelry Boxes - these are undoubtedly my favorite holiday craft supply. 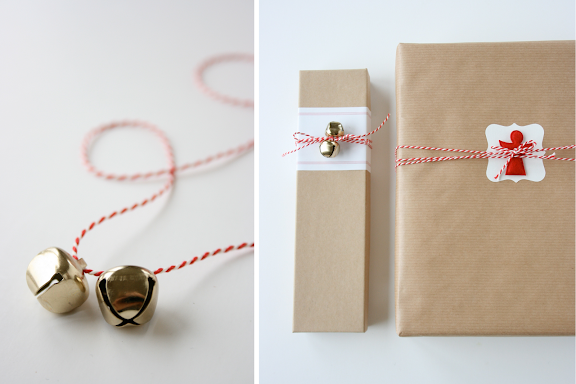 You can do so many creative things with these tiny bells! I love the way they look across a simple label. 8. Felt Mistletoe - or at least my attempt at making it somewhat resemble mistletoe! Inspired by this tutorial, this has fast become my favorite gift topper. Added bonus: they are reusable. 9. Polkadots - a fun way to use all those leftover pieces of paper. Again, it slides into a padded mailer quite nicely. 10. 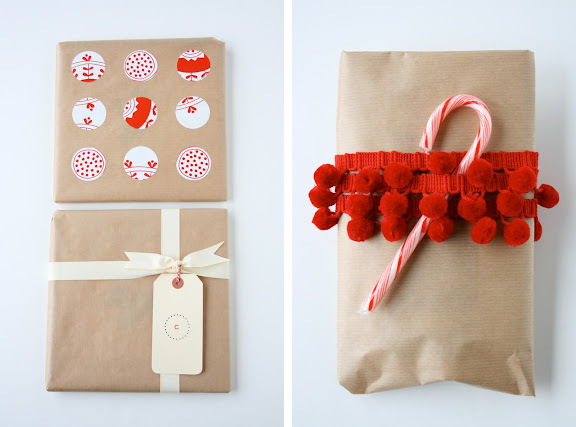 Pom pom garlands - always festive, always cheerful, and particularly fun during the holidays. You can find them online here or at your local fabric store. 11. Woven ribbon - particularly fun with a nice grosgrain or satin trim. Those mittens are adorable, definitely my favorite. Beautiful! Where did you get the red and white string? 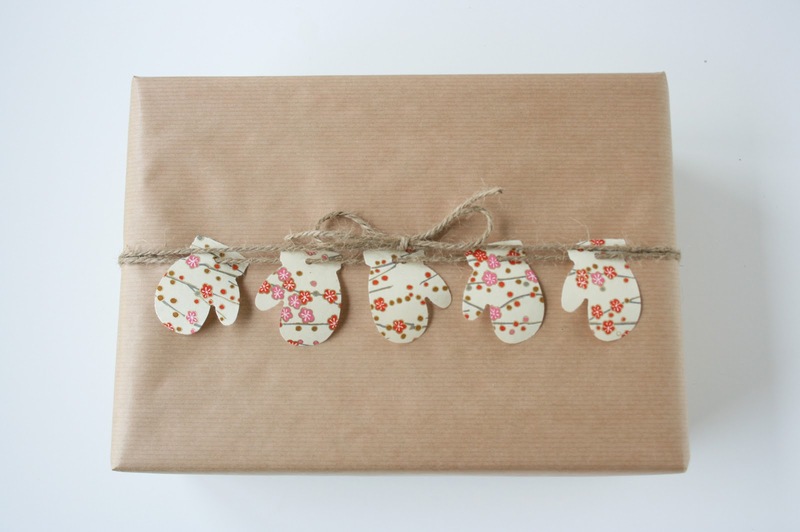 What cute and thoughtful wrapping jobs. LOVE the mittens. 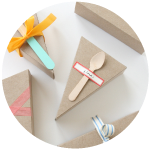 Where's the best place to get kraft paper? So inspiring!!! I'm a sucker for cute wrapping. Anabel, I picked up the string in Europe and actually used to sell it in my etsy shop; but alas it's sold out at the moment. Trying to get more for Valentine's Day! 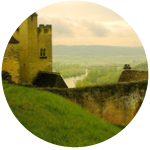 Will post an update on my blog if I'm able to procure more. Thanks for all the feedback girls! 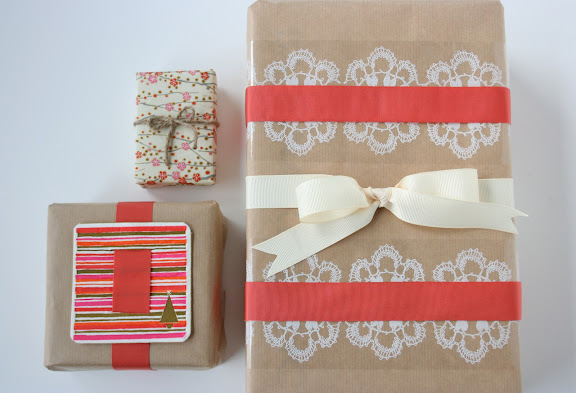 This wrapping is so inspiring. Thanks for all the wonderful ideas. Do you recommend a kraft paper source? 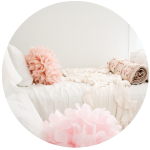 I love the pom-pom garland idea! In the past I've purchased kraft paper at the post office, the dollar store, big lots and Xpedx. Here in Seattle the Xpedx is closing so they may not be the best source but Packaging Specialties in Georgetown would probably carry it. I'd give 'em a call first. LOVE all of your wrapping! I love the mittens & the bells. Ideas for next year I guess!